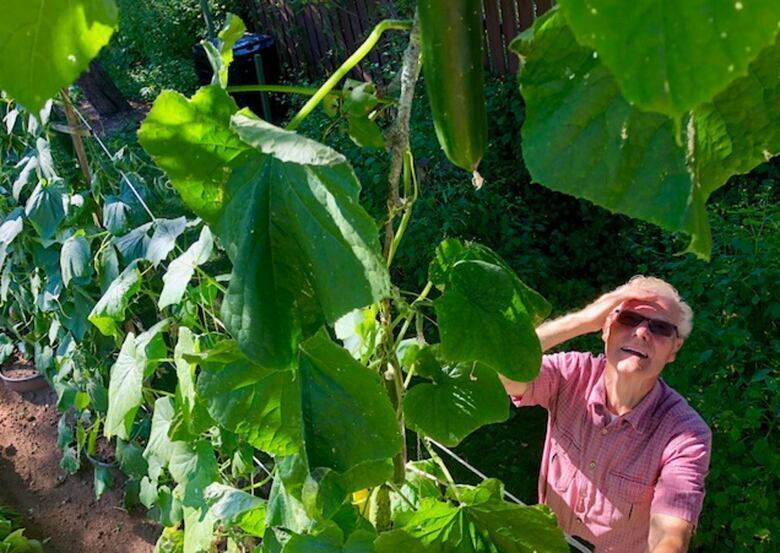 A Charlottetown gardener got quite a surprise this summer when one of his plants jumped the trellis to grow to twice its normal height. Herb MacDougall has been growing vegetables in his backyard for decades. He grows cucumbers vertically on a trellis to save space. But the trellis wasn't enough for some of the vines this year. 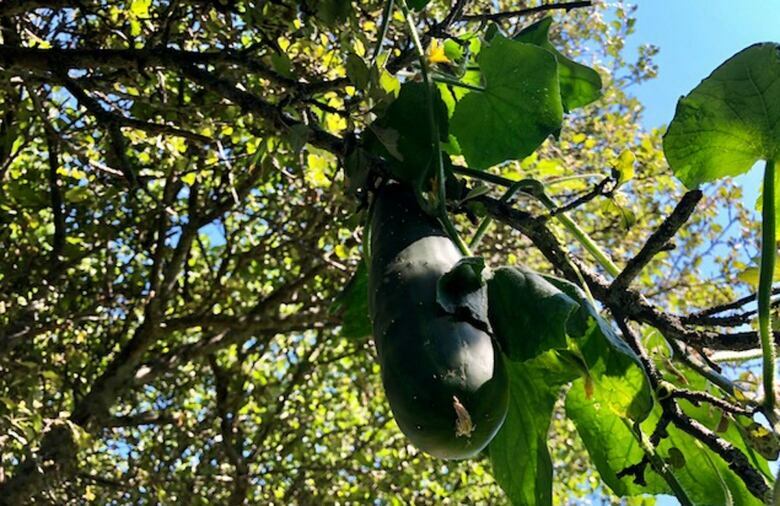 They spread to an apple tree and grew up almost five meters, and now the apple tree appears to be growing cucumbers. "I thought it was unusual. I never did see that before," said MacDougall. "I just kept watching it. And then the cucumber I kept measuring it, and the cucumber is 16 inches long. So anyway. And then I noticed another one here. And then there was a third one, and as you see it reached way out. And it did that on its own." MacDougall plans to pick the cucumbers soon, as they are getting heavy, but he'll need a ladder to do it. He plans to save some of the seeds to replant next year.